What are the biggest trends impacting commercial apartment markets? The SVN® organization is excited to provide its Advisors and the general brokerage community with industry-leading research, including exclusive access to Chandan Market Reports. Chandan Economics is a leading provider of data and analytics to commercial real estate lenders, investors, and policymakers. This report outlines the commercial apartment space and the growth outlook for coming years. It includes historical growth trends that will continue to influence the current market in the near future. 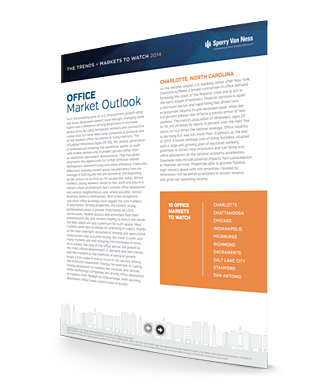 Download Chandan's Apartment Market Outlook to learn more about all of the key industry trends that are impacting the commercial apartment space. The top 10 markets to watch for those specializing in commercial apartments. A breakdown of historical market trends and how they influence the current market. Growth opportunities for your commercial apartment investments.